Perform in front of thousands! 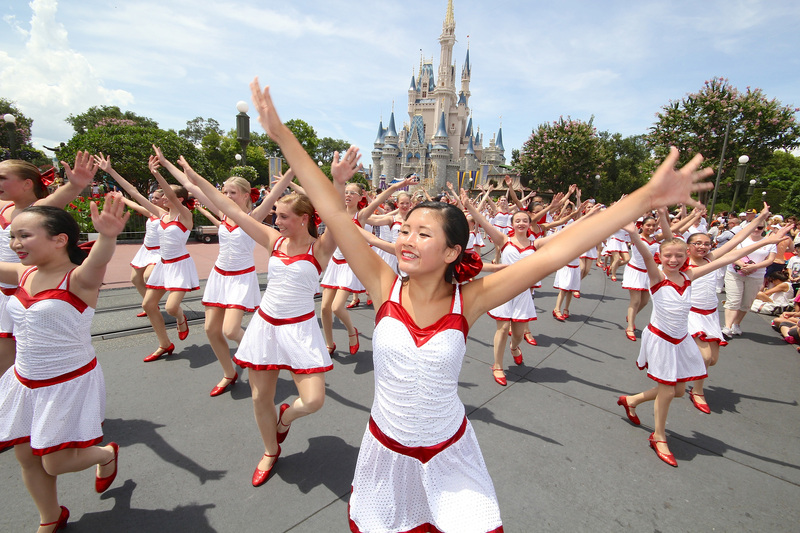 Dance The World invites you to discover the happiest place on earth with your dance family. Grab your ruby shoes and discover the magic of Disney as you perform down Main Street U.S.A. at the Magic Kingdom Park. This once-in-a-lifetime trip is also the perfect family vacation, with fun activities everyone will enjoy! Dazzle under the bright lights of Times Square while performing in front of thousands at Dance the World Broadway. Students will perform on a professional theatre stage, learn how to become a triple threat and chat with cast members of hit Broadway musicals after seeing the show. This once-in-a-lifetime experience will introduce your students to the city that never sleeps. Learn from top industry professionals! Grab your sunglasses and marvel at the palm trees as you drive through sunny Los Angeles. Learn what it takes to be a commercial dancer from an experienced choreographer, take a drop-in class at the famed Millennium Dance Complex and create a dance video for your personal reel with industry professionals! The tour will also get you and your students up close and personal with Hollywood sights with trips to Rodeo Drive, the Fashion District and the Hollywood Walk of Fame. Experience the bright lights of Times Square, attend a Broadway show and see behind the curtain at Radio City Music Hall. Customize a tour to New York City with your dancers to learn from distinguished professionals at Alvin Ailey, see what it's like to attend the iconic school Julliard and attend a workshop with one of the Rockette's to perfect your high kick. This trip will expose your dancers to the life of a professional and train them to become a triple threat.